Renato Silvio Sirtori was born on 16 May 1943 in Milan, Italy. 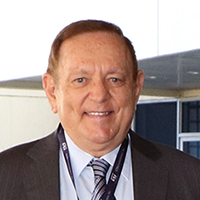 He graduated in Accountancy at the Institute Mose’ Bianchi in Monza in 1962 and began immediately his career with SGS Semiconduttori in Italy. As early as 1969, he moved to Asia and was one of the pioneers who helped set up the Singapore Operation. Since then Sirtori has remained in Singapore and has participated in all the subsequent expansion in the Asia Pacific Region including factories in Singapore, Malaysia, China and Philippines, R&D Centers in Singapore, India and China , Sales and Marketing offices in all the major markets of Asia contributing to the growth of the company through its phases as SGS-THOMSON Microelectronics first and now STMicroelectronics. He retired from his position of Chief Financial Officer-Asia in April 2013, having spent 50 years with STMicroelectronics. Sirtori is a Board member of the Italian Chamber of Commerce , where he held the position of President in 1993 and 1994. He also served on the Board of the Singapore International Chamber of Commerce since 1995 and was Chairman in 2003 and 2004. He also was a Board member of the Singapore Economic Development Board in 1995 and 1996. Topping these achievements is the honorary title of “ Cavaliere nell’Ordine al merito della Republica Italiana “ he received from the President of the Republic of Italy in 1995. In 2001 he received the “ Business Friend of Singapore “ award from the President of the Republic of Singapore for his contribution to the economic development of the country. And in February 2009 was conferred “ Knight of the Order of the Star of Italian Solidarity “ for his achievements and contributions towards the promotion of the Italian image abroad by the President of the Republic of Italy.